No, you haven't been "Rick-rolled". This page is dedicated to Rick's best-remembered tune, which was written and produced by the team that, some would argue, destroyed eighties music - Stock, Aitken and Waterman. 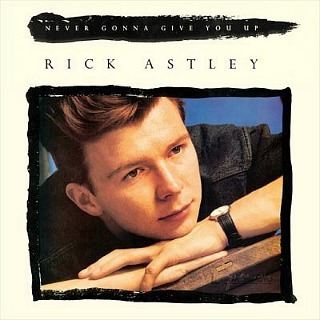 Nonetheless, Never Gonna Give You Up reached #1 in 25 countries and stayed at the top of the singles charts for five weeks during the summer of 1987 in the UK. The song also won the "Best British Single" award at the Brits in 1988. Although Rick Astley has recorded six studio albums, by far his most successful albums were the two he released in the 80s. Rick's debut album Whenever You Need Somebody topped the album charts and achieved 4x Platinum (UK). I actually bought the album on cassette (for my Mum) from a guy selling them on a pasting table at a local market stall because it was at a bargain price - I must have been pretty gullible in those days! Mr Astley's follow-up album Hold Me In Your Arms (1989) peaked at #8 and achieved Platinum. 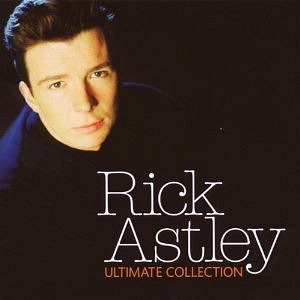 During the 80s, the British singer had seven Top 10 hits, four of these from his debut album which were Never Gonna Give You Up (#1), Whenever You Need Somebody (#3), When I Fall In Love / My Arms Keep Missing You (#2) and Together Forever (#2).